A Star for Mortal Heart! We've had nothing but good news around here for Robin LaFevers' MORTAL HEART, the third book in the His Fair Assassin Trilogy. News like Kirkus including it in its fall most anticipated list and Goodreads holding a book giveaway between now and two days after its release on November 6th. But one of the best things so far has been a starred review from Publishers Weekly. They praise it being "both a powerful tale of political intrigue and a heady supernatural romance, this memorable adventure will entirely satisfy devotees of this series." See? It's definitely worth a visit to the Goodreads giveaway page. Congratulations, Robin! We can't wait for this one to come out! Check out the cover of Diane C. Mullen's debut novel, TAGGED. Out March 2015, this middle-grade will be one to watch for. Congratulations, Diane! We adore the new cover of Maria Gianferrari's PENNY AND JELLY: THE SCHOOL SHOW. Illustrator Thyra Heder brings out the pure fun and joy in this picture book perfectly. Look for this beauty summer of 2015. Congratulations, Maria, on such a lovely cover! Roll out the red carpet for the cover reveal of MOTHMAN'S CURSE by Christine Hayes! Aren't the pictures by James K. Hindle great? It screams adventure. Coming your way June 16th, 2015, this one is sure to be a hit with middle-graders everywhere. Congratulations, Christine! So, yeah, Calista Brill's had a lot going on already--two book deals with Harper (one for six books! ), and now a new one, with a new house: CAT WISHES, a sly little picture book text about a cat who doesn't believe in wishes (but when he's granted three, makes them anyway) has just been signed with the brilliant Kate O'Sullivan at Houghton Mifflin Harcourt. Hooray! Even better? Illustrator Kenard Pak has also signed on to the project. He's a real up-and-comer--and when Calista saw his art, it was EXACTLY what she'd pictured. Lickety-split, a book is underway with happy author, happy illustrator, happy editor...and happy agent (that's me!). The book is scheduled to release in fall 2017. Erin E. Moulton has a final cover for her new novel, KEEPERS OF THE LABYRINTH. Doesn't the cover look exciting? Out fall 2015 with Philomel, this story is sure to be a great read for those wanting adventure. Congratulations, Erin! A Triple Book Release Today! Not only is it a double book release day today for Laurie Boyle Crompton's ADRENALINE CRUSH and Ruth McNally Barshaw's THE ELLIE MCDOODLE DIARIES: ELLIE FOR PRESIDENT, but it's also the paperback release of A. J. Paquette's PARADOX. Three books are freshly out in the world today! 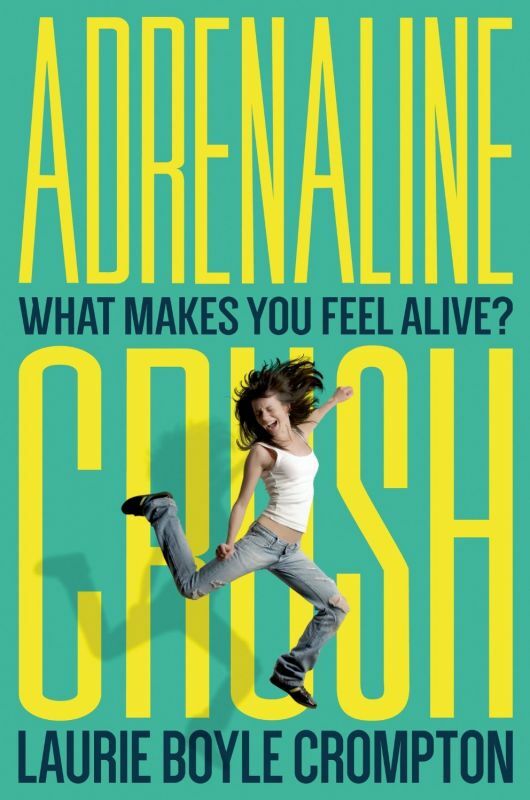 ADRENALINE CRUSH has been called an "enjoyable read" (VOYA) and PARADOX is full of "enough intrigue to keep even a non-science fiction reader engaged" (Library Media Connection). 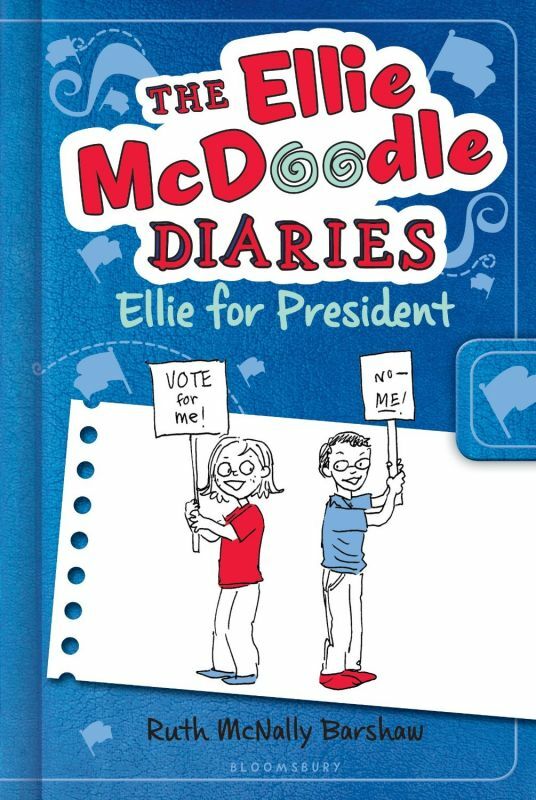 ELLIE FOR PRESIDENT, the last in the adorable Ellie McDoodle series, is "part journal, part graphic novel, all fun" (Kirkus Reviews). As always, we hope these books find their way into reader's hands and hearts! Like Water with a Second Star! The great reviews for Dana Walrath's LIKE WATER ON STONE are rolling in and now the book has seen its second star! Publisher's Weekly says, "Walrath's debut vividly renders the atrocities of the Armenian genocide in the early 20th century, using multiple first-person narratives in delicate verse... told with stunning beauty." Look for this one November 11th. Congratulations, Dana! Releasing Janurary 8th, 2015, Melanie Crowder's AUDACITY is already receiving starred reviews. School Library Journal gave it a star, praising the book's "verse form of the narrative" and how it "lends lightness to an otherwise bleak topic and moves the story along quickly, while artful formatting of the text creates and sustains mood. ...AUDACITY is an impactful addition to any historical fiction collection." Congratulations, Melanie! We can't wait for this one to reach YA readers everywhere! Carole Gerber is a somewhat newer addition to the agency, but she is not at all new to publishing. Prior to joining our team she has published a number of wonderful picture books, the most recent of which, TUCK-IN TIME, was released this month from Margaret Ferguson Books. Today is a very special day, however: Our first sale to celebrate under the EMLA umbrella! TEN BUSY BROOMS is a delightfully zany counting story about witches-on-brooms. Rendered in spectacular rhyme, it's shivery with a dash of silly—just right for Halloween. As you might imagine, TEN BUSY BROOMS was a hot property, garnering heated interest from two different publishers. After this flurry of activity, the manuscript settled at last with the wonderful Frances Gilbert at Doubleday. Look for it on shelves in fall 2016! THE MAMMOTH HUNT is on! Oh, it's a wonderful day in the neighborhood, a wonderful day in the neighborhood. Carrie Clickard is an ace with rhyme (I seem to be collecting those kinds of writers, both with rhyme and with prose!) and nonfiction, so it's no surprise that her next picture book is rhyming nonfiction. We've reunited her with editor, Sylvie Frank, who acquired her upcoming MAGIC FOR SALE (Holiday House, 2015) and then took a job at Paula Wiseman Books at Simon & Schuster. Give Carrie a challenge like writing a book about an historical event and bigger is better! Carrie is such a pro and such a lovely, beautiful writer. I swoon when reading this manuscript! I'm so excited to announce this deal for Carrie and Sylvie and Nancy. The book is scheduled for Fall 2017, but it's going to be worth the wait. We're SO EXCITED! Carrie Clickard's THOMAS JEFFERSON AND THE MAMMOTH HUNT, the story of Thomas Jefferson's quest to make the young United States of America home to the biggest and best, to be illustrated by Nancy Carpenter, to Sylvie Frank at Paula Wiseman Books, by Tricia Lawrence at Erin Murphy Literary Agency for the author (World). She has quite a lot to say, actually—and she says it very well! It's all encapsulated into a darling picture book entitled, quite fittingly, WHERE DO PANTS GO? I should hasten to add that the book is not all about pants. Instead, it's a charming picture book on the subject of getting dressed, geared toward the very youngest of readers and told in beautiful rhythmic stanzas. WHERE DO PANTS GO was signed on by the lovely Alli Brydon at Sterling, and will be heading to a bookshelf near you. Don't miss it! Another double book birthday today! Two much anticipated books come out today. Lindsey Lane's EVIDENCE OF THINGS NOT SEEN and Laurie Ann Thompson's BE A CHANGEMAKER: HOW TO START SOMETHING THAT MATTERS are hitting the shelves and hands of readers. If you get a chance, please take a moment to wish these ladies luck with their books. Congratulations from EMLA, Lindsey and Laurie! Here's hoping for beautiful things with both wonderful debuts! Vrooming with Mary Lyn Ray! Fruitful collaborations are wonderful things, and so are new book deals! Mary Lyn Ray and Allyn Johnston of Beach Lane have worked together on many, many books, and we are so pleased to announce that another is on the way: Mary Lyn's latest picture book text, VROOM, VROOM, in which a child imagines driving a car (all the way to Far Away! ), complete with a stop for lunch and a nap. We look forward to word of a fabulous illustrator who will bring this lovely story to the page! Here comes a star for SANTA CAT! 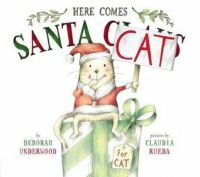 Deboroh Underwood's second cat book, HERE COMES SANTA CAT, has its first starred review! Publisher's Weekly calls it "an ideal holiday pick for the naughty and nice alike," with the same, humorous "back-and-forth between Cat and an unseen narrator" as in the first book. Out October 21st, this book is sure not to disappoint! Congratulations, Deborah! Drum roll, please! 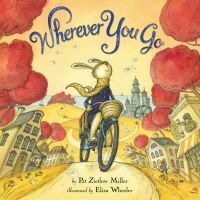 Take a first peek at the cover of Pat Zietlow Miller's WHEREVER YOU GO. Illustrated by Eliza Wheeler, this cover couldn't be more fabulous. Look for it this coming spring! Ruth McNally Barshaw is a force of nature. There's just no other way to put it. When she wants something, she goes after it with her whole heart and soul. Hence the release of the sixth Ellie McDoodle book later this month--and hence her latest big news! I am so pleased to tell the world that Ruth's name will soon be on a picture book for the first time! (The first of what I know will be many, many times...) Ruth was approached by the good folks at Sleeping Bear Press to provide the artwork for a warm, funny text about a lion who escapes from the circus and becomes a part of a human household, where he gets just a little too attached to a life of relaxation, written by WILLOW author Denise Brennan-Nelson. And now LEOPOLD IS LOST is well underway and is scheduled to release in just a year's time! I couldn't be prouder of Ruth for how hard she's worked to develop her craft so it will succeed in the picture book arena. Yay, Ruth! ALL THOSE BROKEN ANGELS book birthday! 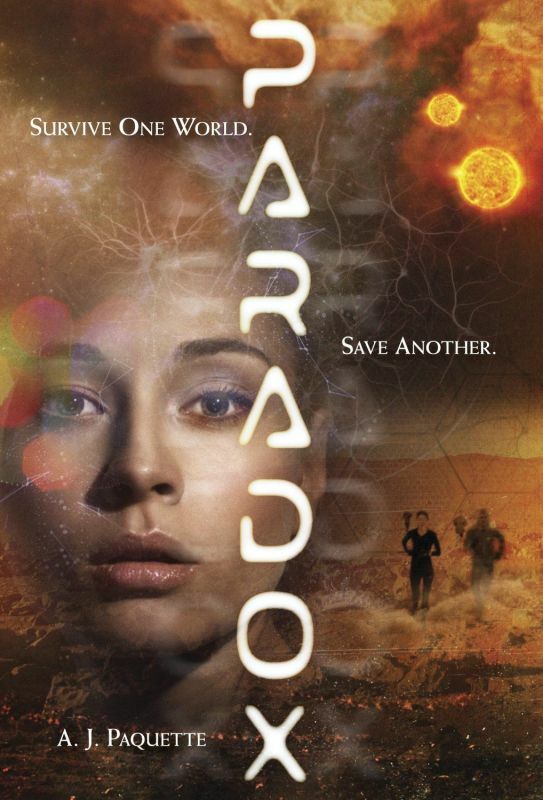 progress; startling, evolving relationships; and [a] pervading sense of shuddery doom." Congratulations, Peter! Welcome to the world, BROKEN ANGELS! Laura Resau has had an illustrious career so far--seven novels, many many awards and starred reviews, ongoing lovely things like having her books chosen for community reads and state lists. It looks just about perfect, right? Andrea Davis Pinkney of Scholastic has acquired at auction Américas Award-winning author Laura Resau's THE IMPOSSIBLE CARAVAN, in which an indigenous boy and a Romani (Gypsy) girl form a friendship in rural Mexico that spans the rest of their lives and embraces magic, music, and predictions of impossible destinies, to publish in 2015. Erin Murphy of Erin Murphy Literary Agency brokered the deal, which includes a second middle-grade novel, for world rights. GO TO SLEEP, LITTLE FARM and SEARCHING FOR SILVERHEELS Release Today! 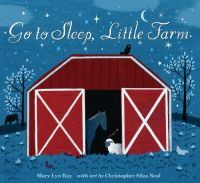 It's a double release day here at EMLA as Mary Lyn Ray's picture book, GO TO SLEEP, LITTLE FARM and Jeannie Mobley's middle-grade novel, SEARCHING FOR SILVERHEELS, hit bookshelves. Publisher's Weekly gave LITTLE FARM a starred review, saying it "reads like a sequel to GOODNIGHT, MOON, with the same offbeat humor and incantatory language" and SILVERHEELS was praised by Kirkus Reviews as "an engrossing, plausible story of several unlikely feminist heroines with a touch of romance and intrigue." Congratulations, Mary Lyn and Jeannie! Here's wishing these books into the hands of readers everywhere! Peter Salomon's ALL THOSE BROKEN ANGELS gets a starred review from Booklist! They say "Salomon's sophomore work is the ideal companion piece to his undercelebrated debut, HENRY FRANKS (2012). It's another slow-motion car crash of a story characterized by scant but thrilling detail and tense, pulsing scenes that often feel more like threatening gestures." Look for this title in one week on September 8th--just in time to read for the Halloween season. Congratulations, Peter!